1. Are you currently operating at 100% capacity? If not, what % are you? I don't know really. I'm just not sure I'm back as good as I was before cancer. I'm not complaining and I'm okay with where I am and this could be the new 100% for me. 2. Have you done your taxes? We're planning a late April/early May trip but haven't booked it yet. Thought about or started your 'spring cleaning'? Thought about it, but haven't started it yet. Besides what's listed here, tell us one task that needs doing before spring rolls around. While not necessarily before spring, but sometime this year we need new shingles and some new floors and some painting done. Leap of faith. I feel that my faith has really been growing lately. Look who fell asleep while eating! Thanks for visiting and I hope you have a great day. 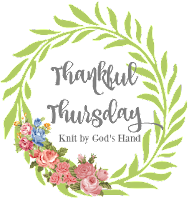 Click the button at the top if you'd like to play along or see some other Hodgepodge posts. Hubby and I celebrated out 29th Anniversary this weekend. I can't believe we've been married that long, but I am so glad to have had each day with him. I am so blessed and thankful for him and our life together. Click the button above to join in with Joyce for some Hodgepodge Fun! The Bible and/or my husband if it's spiritual inspiration I need. A couple of storage boxes of stuff and my sewing box and probably some dust bunnies. Probably Chili Day because I do love some chili in the winter. Will I celebrate...probably not. Filing - I have a bunch of stuff that needs to be filed and the old stuff shredded. Wait a minute...who says I'm balanced? lol But a couple of things that can help me in that direction are: eating right, talking walks with my dog, getting a good night's sleep and making sure I pray and read my Bible every day. 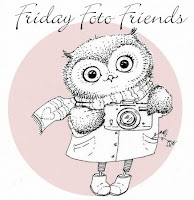 I'm linking up with Friday Foto Friends. I have really missed this the last couple of weeks. I just haven't had very many pictures worth posting here. But here are a couple from my week. This is our local city building and courthouse. I love this old building. I remember when I was a child it house a movie theater and I remember going there and seeing some Disney movies. We had a beautiful day earlier this week and I was out walking the dog. Just couldn't resist those blue skies and white clouds. Thank you for visiting and I hope you have a blessed weekend. I am thankful for the Word of God. I use the YouVersion app and love it so much. I also love seeing scriptures posted on social media that remind me throughout the day of Jesus and a His truths. Here is one I read this morning. We often say we want to know what God’s will for our life is. And there it is just as plain as day. I’m so thankful for these reminders. It's that time again. Come join us for some fun. Click on the button above to get to Joyce's site so you can get the questions and answer them on your blog and then link up for some Wednesday Hodgepodge. Probably with my hubby. 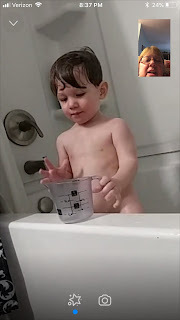 He's my favorite to have a heart to heart with because I can trust it not to be shared about, plus he often has the very best advice if needed. I also have heart to heart talks with God quite often. A change of heart - nothing comes to mind. Heart failure - again nothing comes to mind. Flowers or chocolates. However, we typically do not do Valentine's Day because our anniversary is just 4 days later and that's when we celebrate. But even then, it's typically not gifts, but just going to dinner together and just being together which is our favorite thing. I am not a hopeless romantic and probably the most romantic thing to me is a kiss and him telling me just out of the blue and for no reason at all that he loves me. "I love you truly, oh yes I do. I love you truly, all through and through. When I'm not with you, I'm blue. Oh baby, I love you." 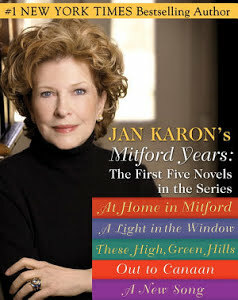 I'm currently reading the first 5 books in the Mitford Series by Jan Karon. I'm enjoying it so far. Have any of you read them and if so, what did you think? My husband’s good report at his check-up the other day. The really good Bible study we had last night with the church family. My church family whom I love and appreciate more and more. The other night I woke in the middle of the night and a chorus we used to sing when I was a little girl was on my mind. I’ve been thinking about it and singing it off and on ever since. 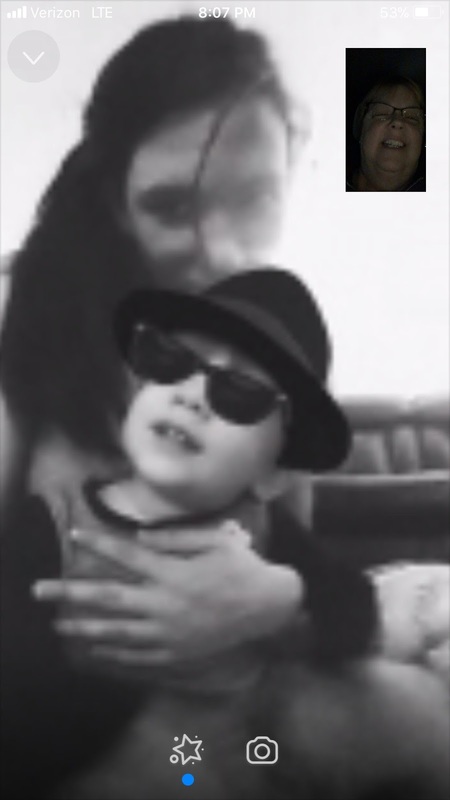 This is what I am truly thankful for. Thank you Lord for giving to me. 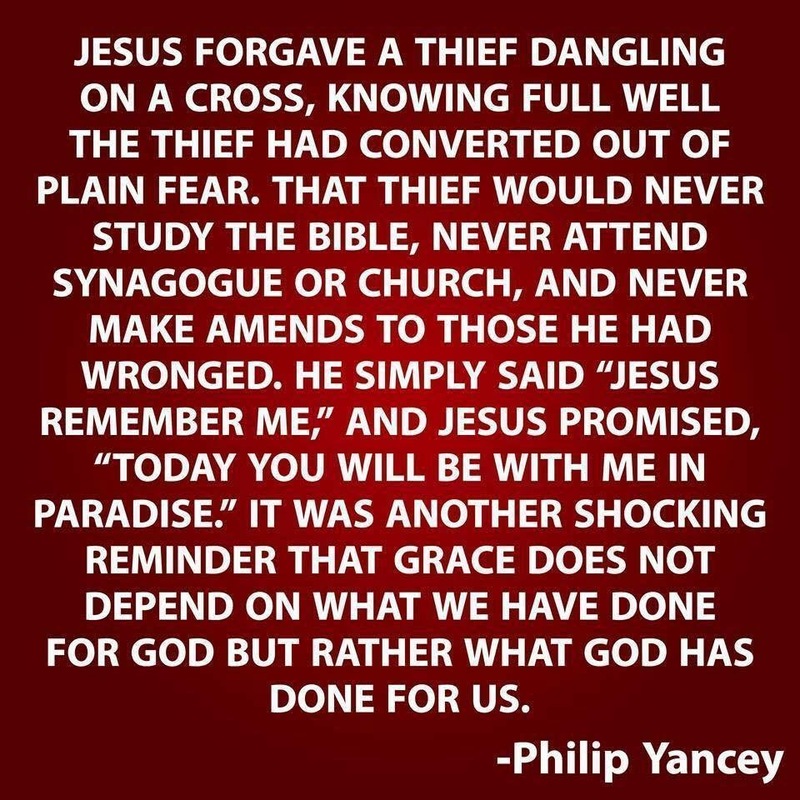 Thy great salvation so full and free. Click the button above if you'd like to participate in the first Hodgepodge of February. I love February because it's the month we got married. We'll be celebrating #29 this year. On your list I'd say I'd like to be planning our next trip. Actually, our life has been pretty quiet and calm lately, but just anytime I can spend time with my hubby (whether at home or out), that is super to me. Soup beans made by my husband. Can't think of a thing. How about I’m cheering for spring to come. I'd say around 6-7. I love the figure skating best. Hubby found the old Doris Day Show on Amazon and we’ve been watching that. We’re in Season 2 now and are really enjoying it. If you like Doris Day, you should check it out. Joining in with Rebecca Jo for One Sentence a Day. Click here if you'd like to join. 1. Lunch with the in-laws at Fazoli's for good food (which mine was free since I downloaded their new app-just had to buy a soda) and great conversation. 2. Back to work after a long weekend and then an evening at home watching some TV and crocheting and relaxing with hubby. 3. Fun times with the folks at church tonight, learning and laughing together. 4. Work day and a cold evening at home. 5. Met with one sister and my brother and had a fun hour of talking and sharing. So good. 6. Lunch out with hubby and watching the planes at Cincinnati Airport and crocheting too. Great time with the husband. 7. Heat problems at church today. 63 degrees is a little chilly but we still had a good service. 8. Went to work around 3 hours late due to all the ice around our place and I did not want to risk falling. 9. Appointment with radiation doctor and all looks good but must start working on getting some more movement in my arm back from the surgery and radiation which requires some uncomfortable exercises. 12. Went home after work (starting to get pretty bad out) then had beef and noodles for dinner that had cooked all day in the crock pot...delicious! 13. Spent most of the day at home because of the weather and did some cleaning and crocheting and watched Harry Potter The Chamber of Secrets. 14. Had 2 great services on Sunday and a wonderful nap in the afternoon. 15. Spent the entire day at home Netflixing, knitting, shoveling snow and just having a great day at home with hubby. 16. Back to work after a 3 day weekend...enough said! 17. God worked out a billing problem for my sister from her last eye surgery. So thankful it was taken care of with just one phone call. 18. Can't remember what we did, again, because I didn't fill this day in until the 29th. 20. Visited with both my sisters and got to play with their dog and cat. 22. Video chat with grandson while he was taking his bath and that boy sure loves his bath. 23. Dinner with the in-laws after work so hubby could try to help his mom set up her new phone. 24. Just a normal day but that's good to me because I love our days. 25. Hubby put a beef roast and veggies in the crockpot for supper and it was delicious! 26. Came home from work and ordered in pizza and then did some laundry and watched some Netflix. 27. Great day of reading, crocheting, napping, watching HP and spending time with my husband. 28. Lunch with hubby’s family and happy 21st birthday to my nephew. 29. Ran into the grocery to pick up a couple things and a snow squall hit and hubby was in the car and said it went from nothing to the whole parking lot covered in like 3 minutes and then it stopped. 30. Worked and then had a quiet evening at home. 31. Took hubby to get his blood drawn early and there was a beautiful sunrise to watch while I waited. So what did you do in January? Today, I am going to keep it simple. I am so very thankful to be alive and able to work and play. I am so thankful to God for all He does for me daily. I could not imagine living without Him.